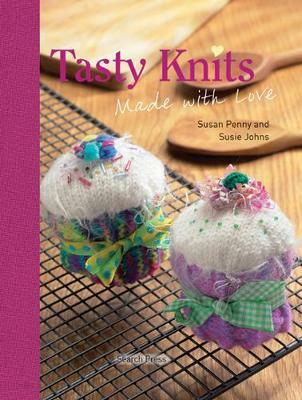 Fun knitted food that's full of fibre and short on calories! Make everything from sweet treats to pizza, and treat your family and friends to a banquet of cakes and fast food. These novelty knits are sure to delight. Choose from knitted hot dogs, cheeseburgers, sushi, or a pitta pocket filled with chicken, lettuce and onion rings, and follow this with your choice of delicious knitted cakes which are almost good enough to eat! Whether you prefer chocolate gateau, Swiss roll or a fruit tart, you are guaranteed to find a least one totally irresistible.